I came to the yoga mat as an young child playing games with my older sisters in the den - who could knee walk while in lotus position? who would win the shoulderstand foot war? Fun stuff. I was an active youth, with a background in competitive figure skating. As a young adult I enrolled in dance - ballet, jazz and modern - and quickly found myself experiencing spontaneous states of bliss without any external input but my own energy! This was eye-opening for me. As I moved from Ottawa to Calgary to Vancouver for school and work, I eventually married and started a family. During the challenging child rearing years, I returned to yoga and movement as a way to balance my emotions. I reaffirmed my yogic intentions when my second child was born in 1994, and began a serious dedication to the practice. As a homeschooling parent of two active children, yoga was an oasis for me. I struggled through devestating periods of anxiety, depression and chronic pain. Yoga was the light that guided me through the darkness. For my 40th birthday in 2007, I celebrated by taking a challenging YogaDance fusion certification in Sedona, Arizona and had some transformational experiences there with some very inspiring women. Following that, in 2008 I was taught the yoga path by Yogi Vishvketu and Chetana Panwar of Akhanda World Yoga Family for my 200 hr certification. I was fortunate to start teaching immediately, and my classes radically expanded my growing field of yogic knowledge. My yoga has been illuminated by many workshops with John Friend, Suzi Aldous-Hatley, Anodea Judith, Seane Corn, Colleen and Rodney Yee, Dharma Mittra, Leslie Kaminoff, Rod Stryker, and many more. I'm a perennially curious yoga student, constantly learning, listening to podcasts, taking classes with favourite teachers, and expanding my experience. In 2007 I was bitten by the hooping bug - I've learned hooping from Brigitte and Trish of SirenHoops in Ottawa, have attended Hoop Convergence in North Carolina in 2011 and assisted in Wanderlust workshops with Shakti Sunfire in 2015. Hooping has deepened my experience of expressive movement as a path of devotion, healing and joy. Then in 2011, my practice path was illuminated by acroyoga, and I've taken workshops with the inspiring Costa K, Justine Hoang, Jessie and Eugene from Ashtanga Montreal (founders of Acroyoga.com), Emily Baxter from all over the world, Chip and Laura from the U.S., and my first acro partner, Sophie Latreille of Minicirque. Acroyoga is a fun, strong, intense practice of connection. In 2013, I was invited to try Stand Up Paddleboard, and fell instantly in love with being on the water in this way. I took my Paddle Canada Level 1 and 2 certification from Duncan Keith from SUFor CHEO, and taught SUP Intro and workshops for the City of Ottawa. You can find me out paddling most days, with the turtles and herons at Petrie Island and other environs. My contemplations of observing nature through the nearby forest, and observing my family's growing changes from young-child centred to adult cohabitation then independence has been the laboratory for learning about my own ever-changing yogic seasons. The woods around me have taught me about moving well in nature and in life, and I love to share the natural movement available in the Great Outdoors. When I come to the mat for asana and breath practice, it is to reaffirm my place in the world. The mat is a microcosm of my family, my family is a microcosm of the world we are creating. It all starts with the consciousness I bring to my own practice of body, mind and spirit. I teach Akhanda (holistic) Yoga and more with the deepest respect for the students' primary teacher, their own intuition. I encourage everyone to bring compassion and patience to their practice, and belief in the body's ability to heal itself. I welcome any questions or queries you have at rainedance@hotmail.com or find me on Facebook. 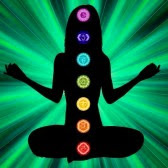 Chakra Pranayama -breathing through the energy centres of the body. This is the opening breath sequence of a Chakra focused yoga workshop, developed by Jenny Anderson with much respect to Anodea Judith and her illuminating teachings of the chakra system. I highly recommend her book, Eastern Body, Western Mind. I wish you all a bountiful and gloriously relaxing summer holiday. I’ve got two drop-in classes at ray friel every week, but I will also be subbing and taking some holidays. Keep in touch and be well! Since fall of 2011, I've been including ball rolling into my yoga sessions with wonderful results and feedback. To expand further on all of the questions after a ball rolling session, here's more information for you! *I learned these methods initially from my friend, massage therapist, yoga teacher, Kristine Karpinski in the summer of 2011. She was greatly influenced by the work of Yamuna Zake, www.yamunabodyrolling.com In September 2011, I brought the balls to my classes and learned from my students how to integrate this therapy into practice. I've taken occasional workshops with local YTU teachers, and Jill Miller, the founder of www.yogatuneup.com. YTU is a very comprehensive system based on anatomy knowledge and compassion. I continue to learn from both Yamuna and Jill Miller through their abundant internet resources.